Notes by Firefox is the new notepad app from Mozilla that stands out for its synchronization with Firefox. Mozilla is a company that’s always trying new things to improve its different apps and, in a way, the Internet in general. 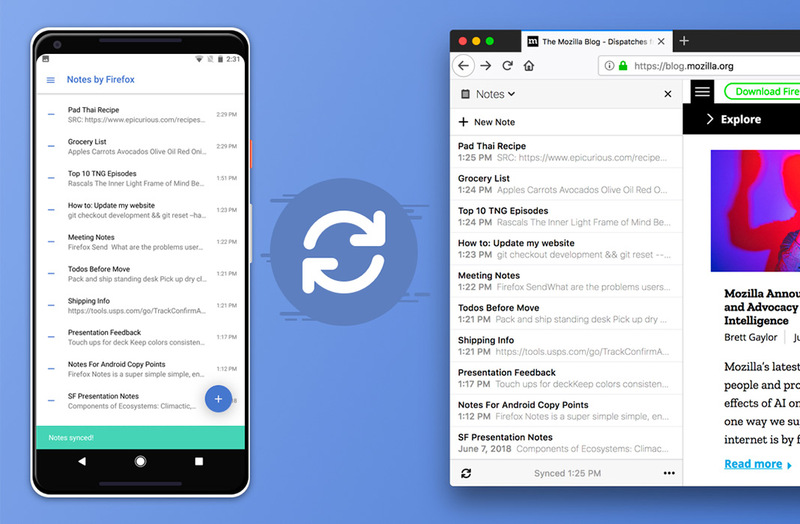 We’ve already talked about some of the company’s experiments and its latest browsers, but today, we’re talking about something more conventional: Notes by Firefox is the latest Android app the company has to offer. It’s an interesting notepad/to-do list app that stands out for how it easily syncs with Firefox. The idea of a renown developer creating a simple notepad app is nothing new. We’ve told you all about Tasks and Keep from Google, and the classic OneNote by Microsoft. 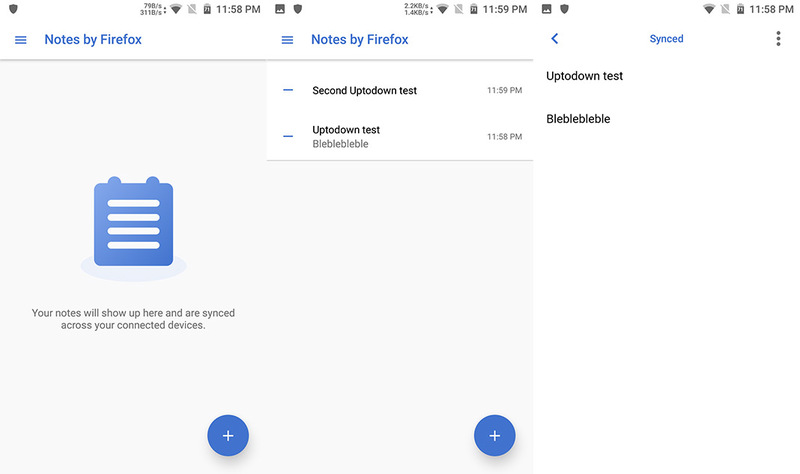 But the interesting thing about Notes by Firefox is that it comes from the test pilot program that Firefox set up back in 2016. Although that doesn’t meant that his notepad app from Mozilla is innovative or original; for now it pretty much just offers the bare minimum in terms of options. A lot like Google Tasks. Notes by Firefox could become the ideal companion for anyone who uses the browser on their computer. The fact that it syncs with the desktop browser is perfect and everything you write in one place appears in all your devices where you have these Mozilla tools installed. For that to happen, you have to be signed in to Firefox, which makes complete and total sense. But this notepad app doesn’t stop there – the information you enter in the app is also secured with end-to-end encryption, so you can be sure that no one else can access it. We’re always happy to hear new things about Mozilla, so Notes by Firefox is a welcome addition to its huge family of apps. However, we should clarify that for now, the app is still in beta, so its performance can be sort of buggy at times. This means that for a lot of users, it may not work like it should, but we hope it improves by the time they release the official version of the app. However, if you’re a fan of Mozilla, then go ahead and give this app a try by downloading it from our website.